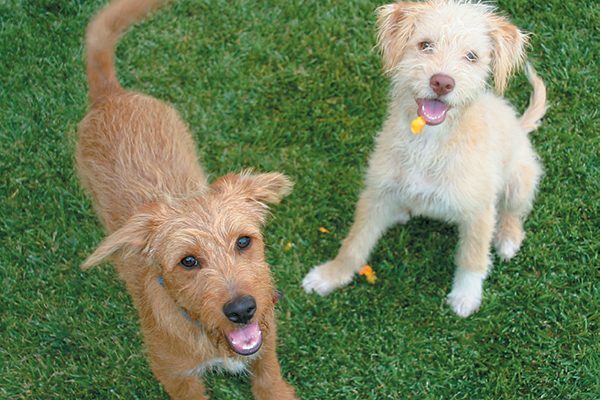 The post How to Prep for the First Two Months of Puppy Training by Annie Phenix, CPDT-KA appeared first on Dogster. Copying over entire articles infringes on copyright laws. You may not be aware of it, but all of these articles were assigned, contracted and paid for, so they aren’t considered public domain. However, we appreciate that you like the article and would love it if you continued sharing just the first paragraph of an article, then linking out to the rest of the piece on Dogster.com. Puppies and dogs do not arrive in our lives already understanding our house rules. If you have a new dog in your life, spending time on puppy training will serve both you and your dog for the rest of your dog’s life. The first month is the most critical month of your dog’s life so it’s important to follow proper puppy training. Photography ©sssss1gmel | Getty Images. This is the most critical month of puppy training. Immediately schedule a wellness exam with your veterinarian, and get the first or second round (sometimes breeders/shelters have already given the first round) of vaccinations for your 8-week or older puppy. It is now illegal in some states to sell or give away a puppy younger than 8 weeks old, so insist that the puppy is permitted to stay with and learn from the mother dog and siblings until at least 8 weeks of age. Bring quality meat or cheese treats for the puppy at every vet visit. Once he’s had that first round of vaccines, start the puppy training off right by taking your puppy to safe places for life socialization, like a neighbor’s house with young children; a clean, well-run dog training center; and local shops that permit dogs. Don’t take unvaccinated puppies to areas that are likely to have a ton of dog traffic like parks or dog retail stores. Puppy brains are still growing, and we know from research that there is a limited time to introduce a growing brain to new things, people and events. In puppies, we generally have the first 12 weeks of life to give them positive exposure to the human world (some studies indicate that 16 weeks is the cut-off time). By the time your puppy comes into your home, eight weeks of learning time has gone by, so you are starting out behind unless you happened to get a pup from a great breeder/shelter that invested in proper puppy training and socialization. This first month is when to slowly and positively introduce your growing puppy to as many new things as you can find, including small children, men with beards, people wearing large hats or walking with canes, different surfaces, many new friendly puppies (with a minimum of one round of vaccinations) and nonthreatening older dogs, car rides, etc. Strive to introduce your puppy to five new stimuli a day spread throughout the day. He won’t have mastered new, potentially scary things with just one intro, so he’ll need several repetitions that are paired with something fun or yummy. Never force a new situation, person or thing on your puppy. Allowing him to choose to sniff and greet a new situation builds a confident and resilient dog. Force is never a wise choice in any animal training, and it is especially detrimental when it comes to puppy training and young animal brains. Did you know that both human babies and puppies must learn that touch itself is not aversive? If we miss that crucial time to have a puppy learn that a human touch is a comfort and not a threat when the dog is very young, sometimes we might never be able to reach inside of the dog’s mind and convince him that touch is a good thing. We call these dogs feral. Regarding housetraining, I take a puppy outside every few hours, and that includes overnight. I work hard to simply not create a situation where the puppy has to go to the bathroom, and the only option is in the house. Additionally, I reward like crazy when the dog goes outside. I keep the young pup with me 24/7 for the first two days, and I find over and over again that I have a housetrained dog within 48 hours if done in this manner. Socialization is crucial. Once your puppy has had his first round of vaccines, take him out and about to slowly introduce him to as many new things and people as possible. Photography ©Ingenui | Getty Images. Once your puppy has that first round of shots, enroll him in a force-free, positive reinforcement puppy class with a credentialed and experienced dog trainer who keeps a clean training center. Yes, this means your 8-week old puppy can be enrolled in a puppy socialization class. You have so much socialization work to do the first few weeks when little Rover comes home that it often takes until the second month for you to find a puppy class. Definitely get that puppy in a class before he hits the 12-week mark. Learning doesn’t stop at 12 weeks, so training is crucial for all dogs, especially for all young dogs. Why have I spent so much time talking about life socialization versus obedience training? Puppies need both, of course, but first and foremost they need to have a kind, compassionate and wise human life guide to ease them into our human world. I beg owners to put a premium on socialization, but you can train in small increments at the same time. Based on two decades of feedback from my human clients, here are some of the most important obedience skills to teach when puppy training. I begin training the puppy the day he or she arrives, but I do so in very small time increments, and I work the training into and around life socialization. Sit: Dogs can’t do many unwanted things — like jumping on people — and also be sitting. Sit is a simple but crucial cue. Look for countless times throughout the day when your puppy offers a sit, and reward that! Come: A reliable recall can literally save your dog’s life. Please know that off-leash work is graduate-level work. Go through all the grades of learning, and teach skills first on leash. Only move on to off leash when skills are highly reliable on leash. Leave it: Puppies and dogs explore the world nose first and then sometimes put things in their mouths because it smells great to them or they want to learn more about it. A solid “leave it” can truly be a lifesaver for your dog as it was for me when one of my dogs started to lick up an ibuprofen pill I didn’t know had fallen under the bed. Protect your puppy from rude canine greetings. Ensure that the young dog plays with and meets other well-mannered dogs and puppies before that magical 12-week period. Puppies really are a lot of work! It is so worth it for the lifetime of your best friend to put in the time now for proper puppy training, socialization and education. Thumbnail: Photography ©Wavebreakmedia | Getty Images.